Holistic Vet Nick Thompson knew he was missing phone calls. But, until he became aware of a specialist veterinary receptionist support service, he hadn’t found a way to prevent his business losing clients through unanswered calls. Previously Nick’s holistic practice had no system in place to deal with missed enquiries beyond a traditional answer phone message. 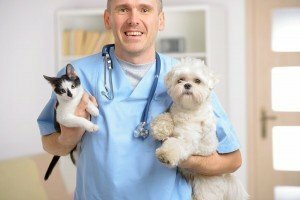 As the head practitioner of Holisticvet.co.uk, a specialist veterinary consultancy, Nick regularly travels the length and breadth of the UK, and Europe, delivering homeopathy, acupuncture, nutritional advice and herbal medicine to patients far and wide. When not on the road, Nick works from his Holisticvet Ltd. practice in Bath, North Somerset, where he employs a practice manager. But has Vetsec won Nick over, especially when it came to entrusting outsourced staff with enquiries regarding his particularly specialist service? But ensuring that every call is answered is where Vetsec is making the biggest impact on the practice’s bottom line.